Nucl. Phys. At. Energy 2016, volume 17, issue 3, pages 316-321. Received: 17.03.2016; Accepted: 19.10.2016; Published online: 13.12.2016. Abstract: The latest versions of the evaluated nuclear data libraries (ENDLs) have contradictions concerning data about neutron cross sections. To resolve this contradiction we propose the method of experimental verification. This method is based on using of the filtered neutron beams and following measurement of appropriate samples. The basic idea of the method is to modify the suited filtered neutron beam so that the differences between the neutron cross sections in accordance with different ENDLs become measurable. Demonstration of the method is given by the example of cerium, which according to the latest versions of four ENDLs has significantly different total neutron cross section. 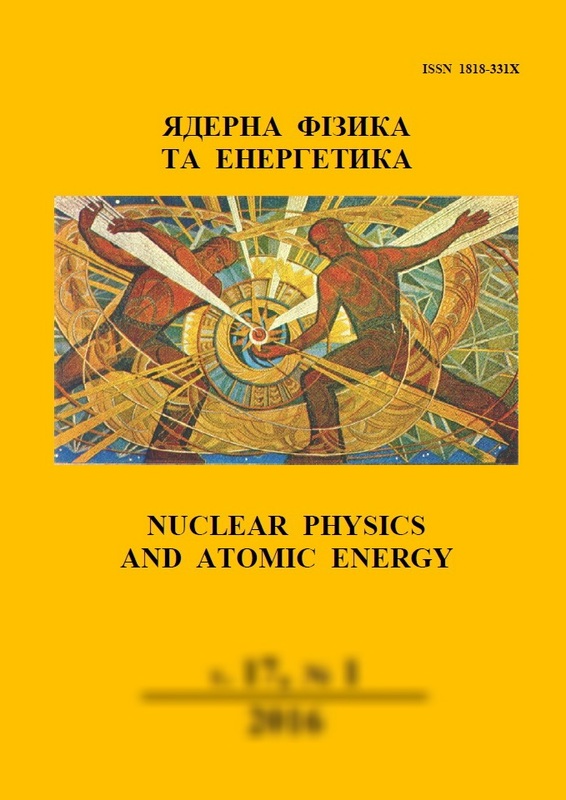 Keywords: evaluated nuclear data libraries, filtered neutron beams, numerical simulation, neutron cross section.